Four days before the release of their new album, "FOUR", the One Direction released this afternoon (13) the official audio of the next single, "Night Changes". In a recent interview, the boy band's members revealed that the song was co-written by Julian Bunetta, longtime collaborator of the band, after arriving at the studio one morning and realize that the track recorded night before had been altered by some producers. The title of the song was born (Night Changes). 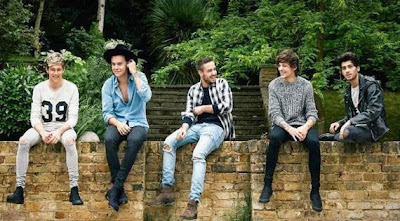 It is the second promotional single from "FOUR", which already has lead single "Steal My Girl" and the buzz single "Fireproof". "FOUR" hits stores on November 17.